Chisholm rose up the Ontario Hockey League’s scoring list among defencemen with 16 points (1G, 15A) in 12 games. Six of his 12 games in November were multi-assist outings, including a three-assist performance on Nov. 1 vs. Oshawa. He had a four-game point streak (1G, 7A) from Nov. 22-29, which included his lone goal of the month on Nov. 24 at Erie as part of three-point game. On the season, Chisholm has 28 points (3G, 25A) in 28 games, which has him tied for fourth in scoring among OHL defencemen. Gawanke climbed to second in scoring among QMJHL defencemen by recording 16 points (4G, 12A) in 11 games last month. He had a point in 10 of his 11 games in November and began the month with an eight-game point streak (3G, 11A). 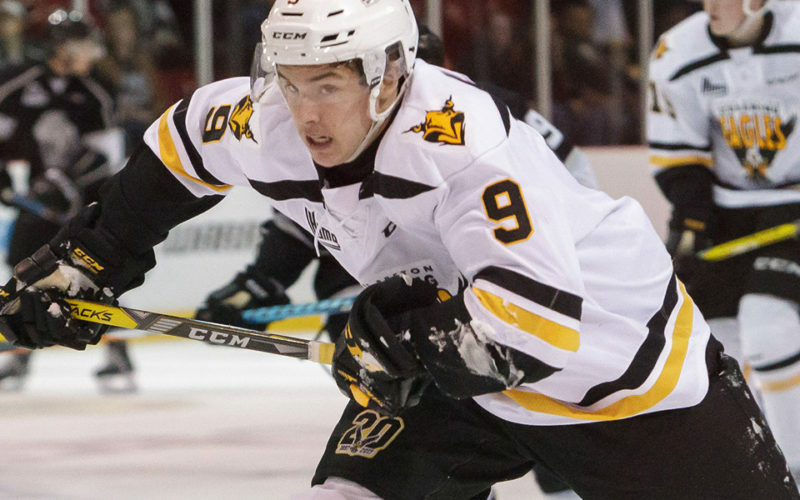 The high point of his month came on Nov. 18 when he factored into all of Cape Breton’s goals during a four-point night (2G, 2A) in a 4-3 overtime time win against Shawinigan. On the season, Gawanke has 31 points (10G, 21) in 29 games. He’s one point shy of matching a career high for points in a season with Cape Breton. Vesalainen started the month with the Manitoba Moose where he had four points (2G, 2A) in four games. He had two goals in a 6-2 win at home against Grand Rapids on Nov. 10 and a goal and an assist in a 5-4 win on the road against Texas on Nov. 14. He joined Jokerit in his hometown of Helsinki midway through the month and scored in his KHL debut.